My sister and I love the ‘what’re your New Year’s Resolutions?’ discussions on New Year’s Eve, and as I wrote here, I’ve tended to be a big fan of looking ahead and giving ourselves goals and hopes. I really buy into it. This year, though, I have found it hard to come up with anything particularly meaningful, because I have little clue as to what 2015 will hold for me. Halfway through 2014, I would have claimed for certain that I’d have kids one way or another by the end of 2015 – whether through fertility treatment, adoption or natural means. Now I realise that the processes involved with treatment and adoption are far more long-winded than I had thought. Work-wise I am similarly in the dark about how things are going to turn out. When you’ve been disappointed or, dare I say it, failed, in any area of your life, it’s natural to shy away from hopes and dreams and resolutions. Hopes might set you up for disappointment, dreams appear unrealistic and resolutions potentially set you up for failure. But dwelling on disappointment for too long makes your heart and soul sick, whereas living in hope is like a tree of life. We need hope in our lives as much as we need oxygen. So I refuse to deprive my soul of that which it needs so much, and instead I’m sat at my laptop forcing myself to really think about what this year could hold. I accept that things may change, I may change, that the events of my life will not always be in my control. I accept that the only thing that really matters is God’s will and plan for me, and I am aware that his version of ‘the plan’ may not always seem as attractive as my own ideas, but that his wisdom and perspective vastly outweigh mine. ~Re-invest in the ‘7Ups’ I wrote about here. Do you, like me, have reservations and fears as you enter 2015? 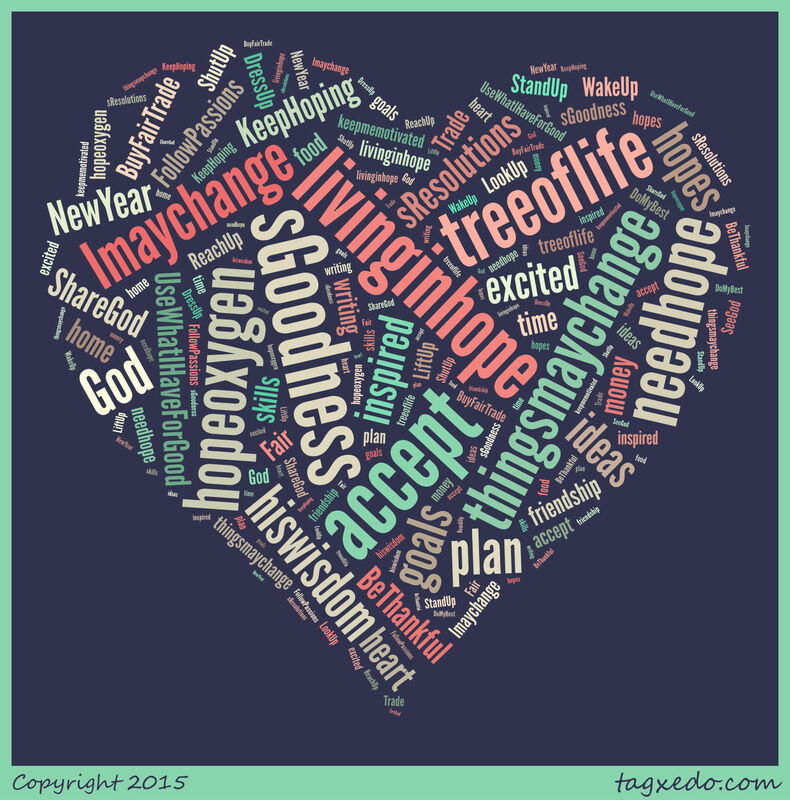 What are your resolutions and hopes?